Recreation of Pictogram 1. Undetermined religious iconography is overlaid on the middle and lower body sections. Special Containment Procedures: SCP-2651-A is to be placed in a hemispherical recess in a containment chamber at Lunar Area-32. This chamber will be outfitted with two Kardec Counters1, security cameras, and a microphone. The devices will be checked on a weekly basis, with repairs being made if necessary. If any equipment becomes irreparable, it must be requested to be part of the next scheduled supply delivery. Drains and a sprinkler system will be built into the chamber to remove any bodily fluids released by SCP-2651-B instances and SCP-2651-C. Once removed the fluids will be stored in biohazard storage tanks for analysis or will be disposed. All observed 2651-SKIA Events have been performed identically. However, if any discrepancies are observed, these must be recorded and reported to Level 3/2651 personnel. Description: SCP-2651 is the collective designation for a metal sphere (SCP-2651-A) surrounded by a set of ectoplasmic entities2 of extraterrestrial origin (SCP-2651-B and SCP-2651-C). SCP-2651-A is composed of a rhodium-platinum alloy, possessing a radius of 71.7cm. The sphere depicts a landscape resembling current models of Earth's geography during the late Neoproterozoic Era3, with the outlines of continents and islands engraved on the surface. Notable deviations from the models are three circular islands off the west coast of the minor supercontinent Proto-Laurasia and a ring-shaped lake on the East Antarctic Shield. The circular islands, the lake, and several other locations on the globe have what appears to be a stylized rendition of SCP-2651-B instances on them (Pictogram 1). Electrical hums and other mechanical noises emanate from SCP-2651-A, indicating an interior structure, though the globe's outer surface has blocked sonar imaging attempts. Each entity has a 1m tall upright conical body, with the main body and each limb segmented in a manner similar to arthropods. The body is divided into three sections. Connected to the base of the body are four legs ending in circular feet. On the body's midsection are six tendrils, each 3m long and ending in a claw. Four conical protrusions are on the top of the body, likely a form of sensory organ. A set of mandibles are on the bottom of the cone. SCP-2651-B7 is the only entity to possess numerous apparent tumorous growths on its body. Aside from movement around SCP-2651-A, the entities are largely inactive when not experiencing a 2651-SKIA Event. Normal activity consists of repeated convulsions, spasms of the limbs, and erratic mandible clicks. The only instance to not behave in this manner is SCP-2651-B7, which is motionless and limp. SCP-2651-C floats approximately 1m above SCP-2651-A. The body is similar to that of SCP-2651-B, though the top body section is replaced with a large spherical object. This "head" sphere frequently changes its shape, denting to form symbols from a dialect of the Ortothan Extraterrestrial Language (OEL)4 and creating patterns of holes that can vocalize. When not experiencing a 2651-SKIA Event, SCP-2651-C behaves the same way as SCP-2651-B instances. Frequently the phrases "myself failed" and "myself knew not" manifest on the sphere. Seven times a year a 2651-SKIA Event will occur, in which SCP-2651-B instances and SCP-2651-C will reenact a ritual. This ritual is presumed to have been initially performed in the far past, during the creation of SCP-2651, though details on the event are lacking. Refer to the addendum for further information. The tunnel leading from the cavern. Discovery: SCP-2651 was accidentally discovered on 13-February-2017 during the construction of the Area 13-32 Transit System. The boring machine in use was shut down when miners created an entrance to a previously unknown large cavern, hemispherical in shape (radius of ~35m). Signs of anomalous activity were reported, and Mobile Task Force Gamma-4 ("Blondebeard's Crew") was dispatched for preliminary containment. At the time of discovery the cavern floor was covered in a 2m high slurry of organic matter and a pink blood-like fluid (hereafter referred to as haemorozin), likely having built up from repeated 2651-SKIA Events since the anomaly's creation. SCP-2651-A had been placed on a metal pedestal and was partially submerged in the fluids. Surrounding the pedestal were seven statues resembling SCP-2651-B instances, built from a black metal. Of note is that the number of tendrils on each statue ranged from one to seven. A smaller globe depicting the surface of the moon was also found, engraved with Pictogram 1 on multiple sections. The area was then drained, uncovering pieces of blue-green colored exoskeletons similar to the apparent exoskeletons on SCP-2651-B and SCP-2651-C. Puncture wounds, damage consistent with blunt force trauma, and embedded bullet-shaped objects were present on many pieces. Mechanical devices resembling guns, engraved with unidentified thaumaturgic runes, were also found in varying damaged states. Placed next to SCP-2651-A was AO-2651-1, a 2m3 explosive device. Within the device is a cylindrical capsule constructed from a type of exotic matter, determined with technology recovered from [REDACTED] to contain 10g of liquid antimatter. After receiving a signal, a mechanism would break this case and cause the liquid to undergo matter/antimatter annihilation with all matter in the surrounding region, creating a violent explosion that would likely destroy all objects in the cavern. The mechanism appears to have been in the process of breaking the case, though large amounts of dried organic matter had entered the device and halted the process. [Unknown Symbol 16] helping. The Holies5 receive the blood. [Unknown Symbol 16] bleeds (forever?). [Unknown Yellow Symbol] hazards. The not-god(?) lied here. Entrance is treason to the Koru-teusa and the Fourth World. Warrants [Unknown Symbol 22]-absorption death. On 19-February-2017, SCP-2651 and AO-2651-1 were brought into containment at Lunar Area-32. Construction was resumed the following day, with the course of the tunnel altered to prevent potential damage to the cavern. Note: Due to limitations in the Foundation's knowledge of OEL, only approximate translations of dialogue are available. All translations of SCP-2651-C are based on the OEL logograms that form on the entity's head. All SCP-2651-B instances and SCP-2651-C spontaneously relocate from their standard positions. The instances are now standing in a circular formation around SCP-2651-A. The tumors on SCP-2651-B7 are not present. SCP-2651-C is standing next to the sphere, with their appendages reaching into it and phasing through its surface. Trails of ectoplasm leading from SCP-2651-A to each entity are detected by Kardec Counters for several seconds before vanishing. SCP-2651-C: It is connected. It is safe to begin. SCP-2651-C retracts their appendages and begins levitating above SCP-2651-A. SCP-2651-C: Travelers. Spawn of lost Third World. Ourselves ascension initiates. Eleven rods composed of ectoplasm grow out of SCP-2651-C's head and detach from it, suspending in the air. All entities moving their appendages in rhythmic sinusoidal wave patterns. A rod moves toward each of them. SCP-2651-C: Yourselves do not feel sorrow. Yourselves mortal forms(?) will be gone but yourselves feel jubilant to watch over and bring prosperity to people, culture, army, the new Fourth World. The rods slice two of the claws on each entity off, causing haemorozin to spill out of region of the wound. They begin to walk around SCP-2651-A, creating a complex geometric pattern on the ground with the haemorozin. SCP-2651-C: Yourselves lose fear of becoming pure spirits. The instances stop moving and stand still at their original positions, with the exception of SCP-2651-B7. A crack appears next to one of their legs and a set of clawless, bleeding appendages emerges from it. The appendages move down the leg and create a series of symbols stylistically different from the main pattern. The appendages quickly retract before SCP-2651-C starts clicking. The rods position themselves in front of each entity and rapidly penetrate through their middle body segments. Haemorozin begins bleeding out of their bodies in large quantities with the exception of SCP-2651-B7, who is bleeding at a slower rate. Each SCP-2651-B instance appears to sit and lean back. SCP-2651-C's head forms a shape that appears to depict Neoproterozoic Era Earth. Smaller spheres detach from it and form various shapes and geometric structures, orbiting around the head. SCP-2651-C: Do yourselves see the lights? SCP-2651-C: The armadas, the constructors, the blood-bringers(?) blinking into orbit? The lights of the vessels are flashing above the dark planet as they look down upon the new locale of our culture and all its future iterations. No new symbols or vocalizations for a minute. The bleeding slows down. Haemorozin stops exiting SCP-2651-B7. SCP-2651-C: Gaze yourself upon the all encompassing sphere of ice and gray. The star of this new world flickers on its edge, and its cosmic heat spills into the void. The dull outline of the atmosphere glows to light the world and the void beyond. 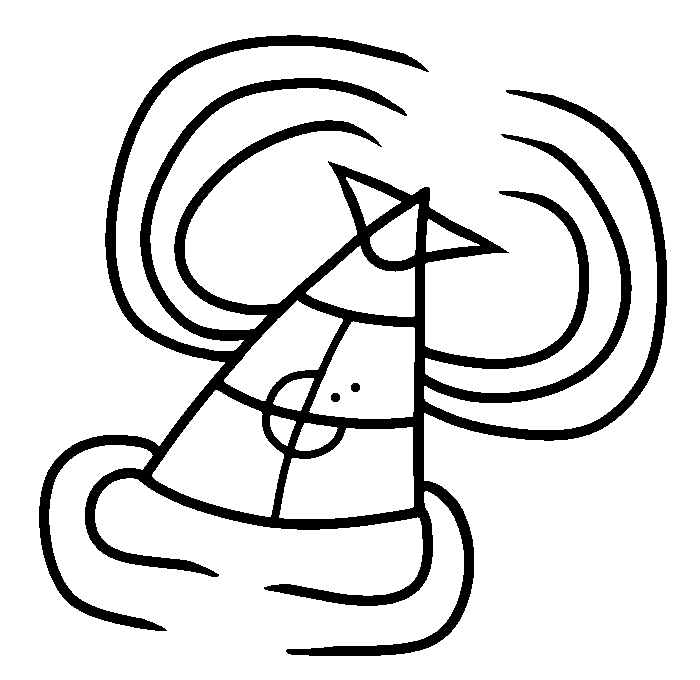 SCP-2651-C stops forming new symbols on its head for a minute. SCP-2651-C: Gaze upon the planet's surface. Empty tundra(? ), volcanic destruction, impossible lands, impossible beasts. Across an ice flat is a mass of machines, shredding through the terrain and constructing the first homes. Gaze at the thing shambling towards the machines, itself limbs flailing, itself maws flailing the viscera of the past failed machines. Yourselves spirits reach into the thing. Gaze inside and twist. SCP-2651-C: The corpse of the thing melts into the ice and the machines continue. Ourselves spirits strengthen. Soon ourselves will rip the flaws of the world off and open the beauty underneath. The first cities will be built and our species will triumph. And should the invaders of the Third World find us once again ourselves will [Unknown: A long sentence]. All future beings will gaze upon us as ourselves gaze from the stars. No new symbols or vocalizations for 38 seconds. SCP-2651-C: Ourselves see Rakmou-leusan6. Itself floats before ourselves, wreathed in blood and light. Itself (tendrils?) are outstretched to yourselves, yourselves reach back. Gaze into itself and let it gaze into yourselves. The spheres circling around SCP-2651-C's head reshape to form structures resembling SCP-2651-B instances and SCP-2651-C.
SCP-2651-C: Gaze yourselves and let itself drag ourselves spirits into godhood. All entities go limp and bleeding stops. SCP-2651-B7 begins to slowly stand up. SCP-2651-C: Itself is not Rakmou-leusan. SCP-2651-C: [Illegible] must not listen, must not drag in [illegible]. Yourself flesh traitor. SCP-2651-B7's appendages reach into the sphere when a large dent forms on their back, as if an object collided with their body. The back half of SCP-2651-B7 abruptly breaks apart into small fragments and a large volume of haemorozin. 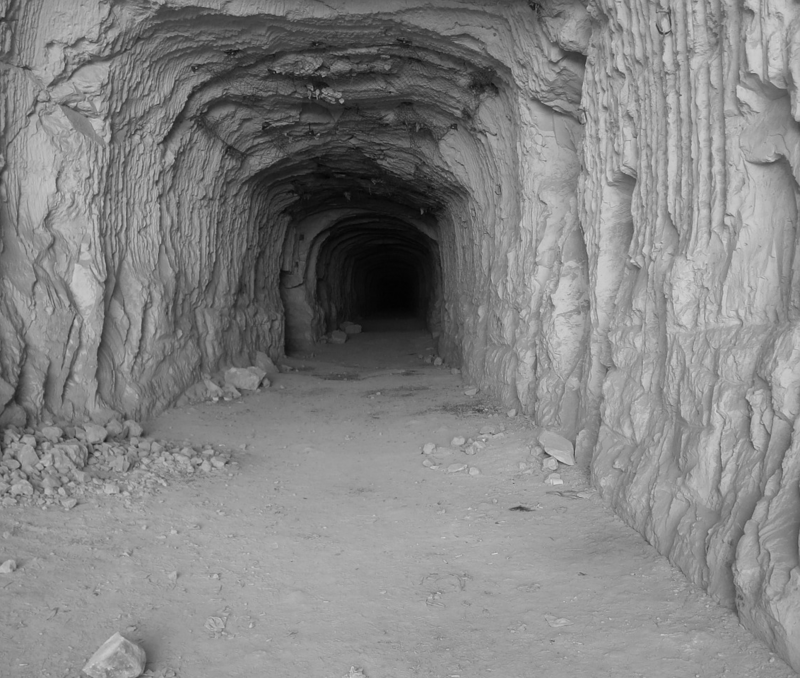 Numerous small holes, matching the size of the bullets found in the cavern, begin opening along the remaining half as the entity collapses onto SCP-2651-A. A loud whirring noise is produced by SCP-2651-A. Trails of ectoplasm extend out of it and connect with each entity. All SCP-2651-B instances and SCP-2651-C spontaneously relocate to their standard positions and appearances. 1. Devices used to detect and observe entities composed of ectoplasm. 2. Colloquially referred to as "ghosts." 4. A language spoken by GoI-03088 ("The Church of the Second Hytoth") and some extraterrestrial entities. All known dialects are unusually similar, despite the large distances between OEL-speaking communities that would be expected to cause major differences between the dialects over time. 5. Presumed to be referencing the Koru-teusa ("Holy Seven"), a group of seven gods worshiped by the Church of the Second Hytoth. In the group's Ortothan mythology all of the seven required blood sacrifices to stay alive, though all but one (the "Holy Fourth") has died. 6. The "Holy Fourth." According to Ortothan mythology they were an extraterrestrial mortal that ascended to godhood, currently responsible for protecting the universe from extrauniversal threats. 7. Minkowski Spacetime Monitors near the anomaly's containment chamber will occasionally detect an object with a high mass of 2 x 1020 solar masses manifest above SCP-2651-A at this point. No major gravitational and spatial phenomena that would be expected from such a manifestation are observed, however.